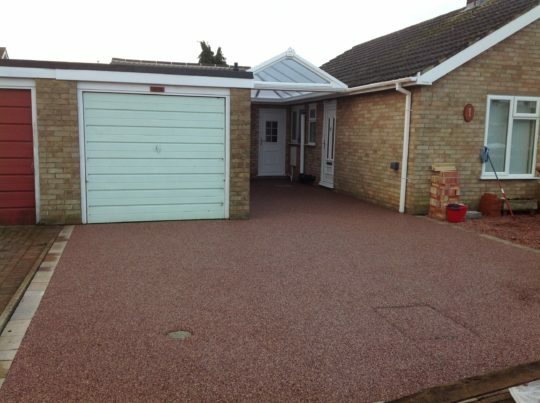 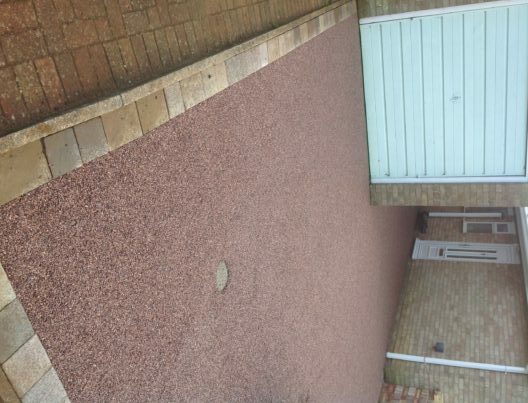 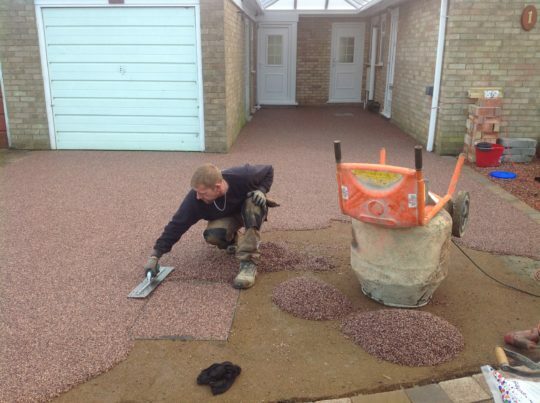 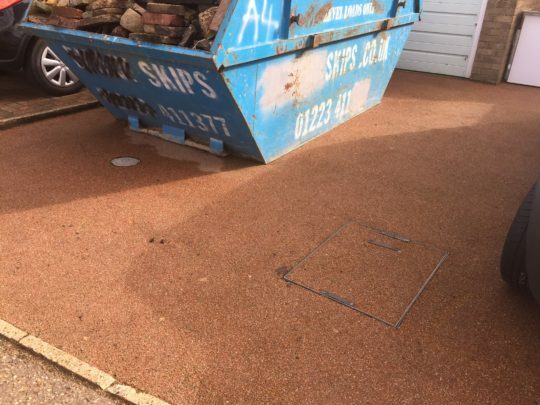 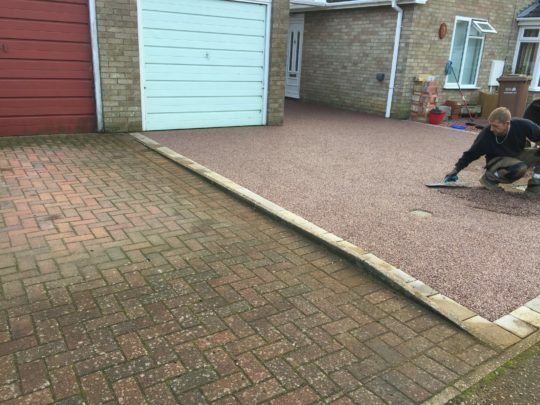 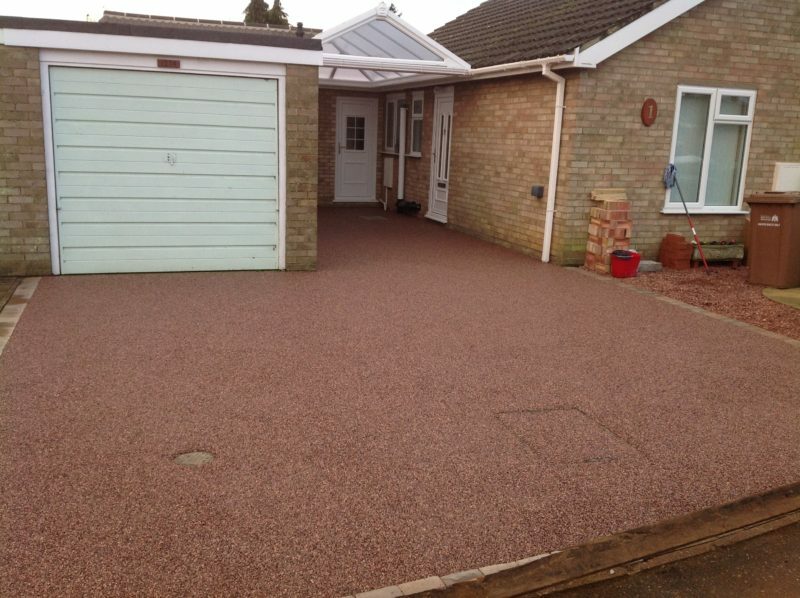 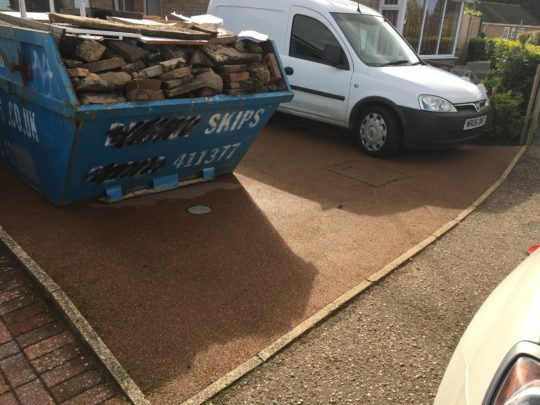 Our client based in Sandringham had a driveway that the previous owner of the property had at some point had a company install Resin but the company had not used the correct Resin so the driveway had deteriorated as the aggregate they had used was meant for foot traffic not vehiclular. The client were adamant they installed Resin again as they didnt want the upkeep that is involved with Block Paving. 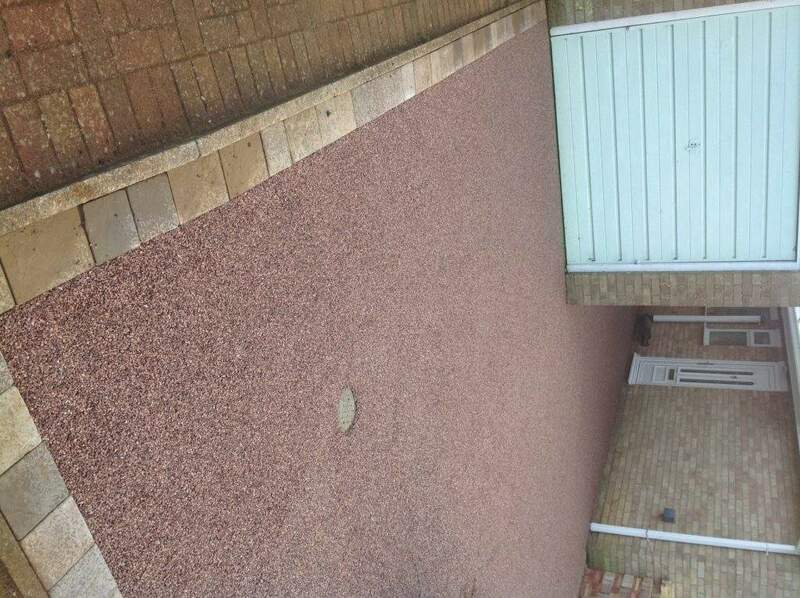 You can see in some of the images the Resin Drive alongside the neighbours Block Paved drive, the Resin drive will not need cleaning, will not have weeds or moss problems, is resistant to staining and will not fade in the sun… It will look like it does today in years to come. 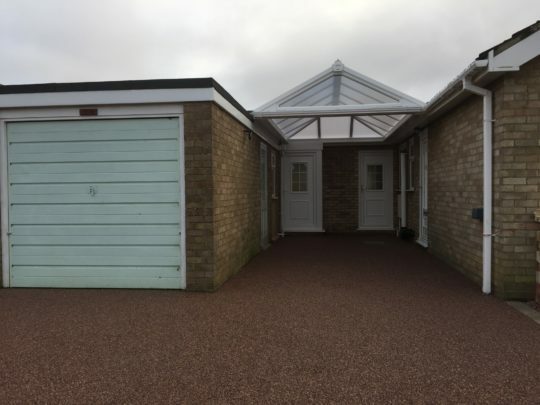 Compared to the Block Paved driveway you can see why the client asked us to come all the way from Peterborough to install their new Resin Drive. 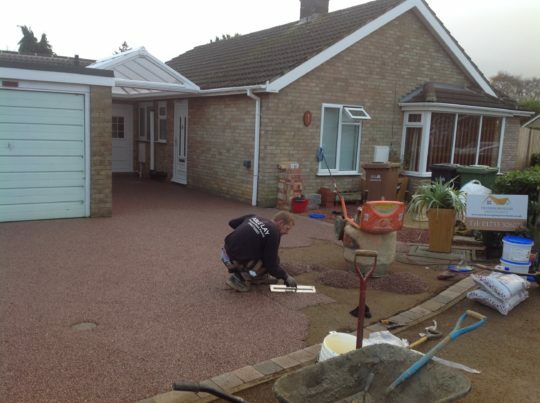 We prepared the area for a new overlay and extended the install area by digging out a extra few metres and concreting. 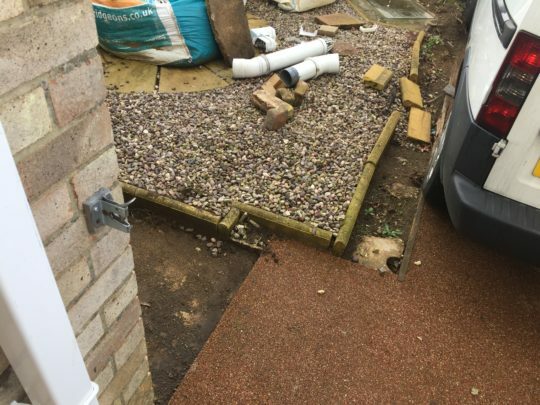 The customer opted for Staffordshire Pink Resin and wanted us to install an edging using small slabs they had used elsewhere in the garden. 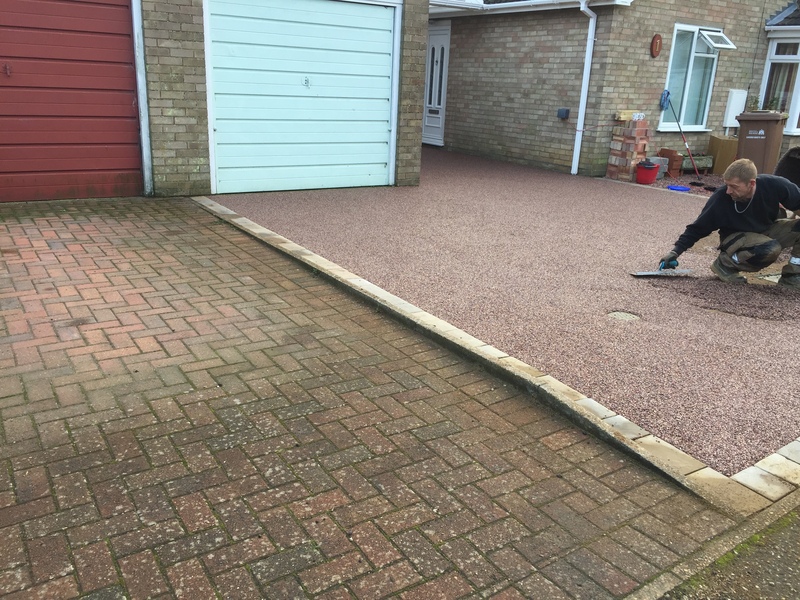 The final result is a stunning looking permeable drive that requires next to no maintenance and will look like it does today in years to come without all the hassle of moss, oil staining etc.